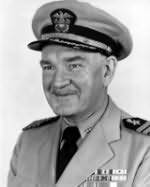 He was a prolific author, who served as a U.S. naval captain. Karig authored a number of military history works on Allied naval operations during World War II. Karig wrote scripts for the television series Victory at Sea. Besides his works on naval history, Karig was a novelist, publishing under his own name. He also worked as a journalist.